The 2018 Peter Rabbit 50p coin is the third UK coin to feature the much-loved children’s character. It has been issued to carry on the celebrations of one of Beatrix Potter’s famous animals and the first of Beatrix Potter’s 23 children’s tales, ‘The tale of Peter Rabbit’. Struck by The Royal Mint, this is the first coin in the third series of 50ps which proved to be extremely popular with coin collectors in 2016 and 2017. 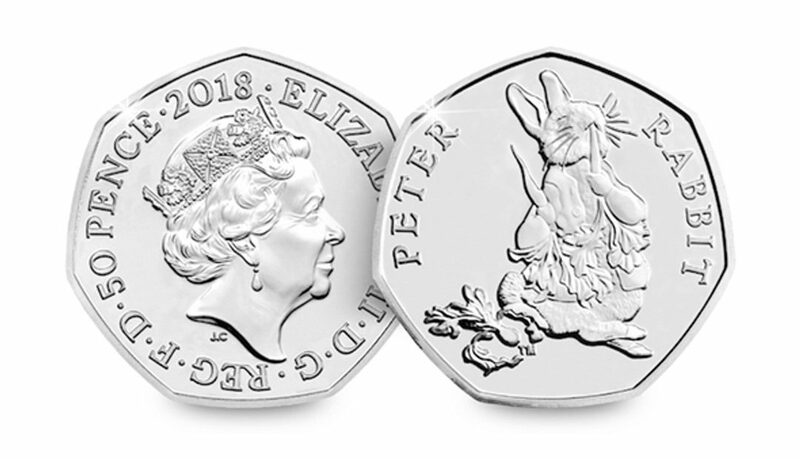 The Peter Rabbit 50p is protectively encapsulated and Certified as superior Brilliant Uncirculated quality which sets it apart from the coins you may find in your change.